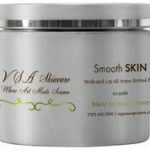 Virginia Surgical Arts is excited to announce our own line of skin products called VSA Skincare! Our office has worked with an FDA regulated laboratory facility to formulate products we have long desired to add to our Skin Center. View the list of products below! Smooth Skin Retinol Pads: These medicated pads reduce the appearance of fine lines and pores, and rapidly boosts cell turnover. It promotes healthy, radiant skin growth, while fortifying your skin with powerful antioxidants to protect you against free radicals. Available in 2.5x or 10x strengths. 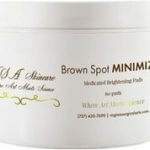 Brown Spot Minimizer Pads: This formulation of medicated pads combines botanical skin tone enhancing ingredients with protective antioxidants to brighten and soothe skin, effectively improving the appearance of skin texture and tone. Our office will customize the blend to include 2-8% hydroquinone. Bright Skin Pads: Packed with vitamin C, these medicated pads help brighten hyperpigmentation and acts as a second defense against UV damage and free radicals. They also aid in the skin’s moisture retention, as well as evening of complexion. Clear Skin Pads: Two acids comprise the ingredients in these medicated pads- Glycolic acid aids in loosening skin layers and turning over, while Salicylic acid cleans out pores and absorbs oil. Great for acne, oily skin, as well as post-workout and makeup removal! 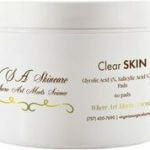 Clear Skin Cleanser: Two acids comprise the ingredients in this medicated cleanser- Glycolic acid aids in loosening skin layers and turning over, while Salicylic acid cleans out pores and absorbs oil. Great for acne, oily skin, as well as post-workout and makeup removal. 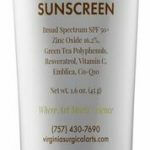 Triple Action Sunscreen: This physical, broad-spectrum sunscreen protects against UVA and UVB rays. In addition to protection, it acts as an anti-aging moisturizers, as well as evens outs discoloration within the skin. Three uses for this one product! Hydrating Serum: This pure, ultra-hydrating serum quenches dehydrated skin for a supple, smooth complexions, and all-day moisture retention. Visibly reducing the signs of aging with a nourishing blend of antioxidants and humectants, skin appears brighter, firmer, and rejuvenated. 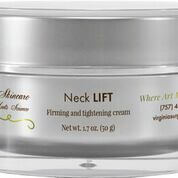 Neck Lift: Developed specifically for the neck and decollete, this hydrating cream helps to firm, lift, and tighten skin that has lost definition with age. Formulated with a proprietary blend of active ingredients to support healthy collagen and elastin production, smooth and even skin tone, and reduce signs of aging. Do-It-All Eye Cream: This is an advanced age-defying cream with the ability to illuminate the eye and diminish fine lines and wrinkles. Formulated with green tea to neutralize free radicals, vitamin K and arnica works to diminish dark circles. Cooling cucumber soothes your delicate eye area as vitamins E nourishes. Age-defying peptides address sagging skin and wrinkles to reveal a brighter, more youthful look. This product truly does it all! Revive. Set. Go! Mist: Need to revive your skin after being in the sun or having a sunburn? Want to rejuvenate your skin after a procedure? Or how about setting your makeup to look flawless? This mist is your answer! Packed with antioxidants, lavender, chamomile, and sea salt, this products soothes and nourishes the skin, giving you a healthy glow. An office favorite! 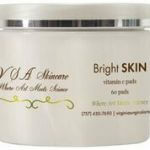 VSA Skincare is found exclusively at our office, so stop by today! You do not need to be a patient to purchase.